Are you looking for a place to enjoy your vacation? Do you want to spend your retirement in a different place than you are used to? Our real estate in La Zenia (Orihuela Costa) helps you find your new home and city holidays with its properties for sale and new build. Our real estate agents have been working in the property sector for more than 50 years. This experience gives our real estate a high status. Our main task is that the client can feel proud of having placed their trust in us. In this way, Casas Espania offers a long list of properties so you can find the one that best suits your wishes and needs. 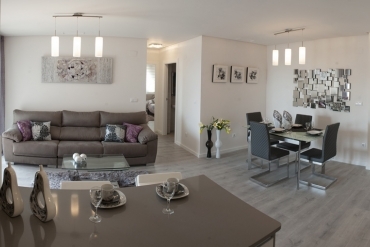 Why rely on our real estate in La Zenia? The first reason to trust our real estate in La Zenia is the one mentioned above: the experience. Although Casas Espania was founded six years ago, we had been working more than 50 years in the world of real estate sales and rentals. If you are looking for a serious, professional and honest real estate, Casas Espania is your agency. Another reason why many of our clients have trusted us has been our extensive range of properties. We have more than 600 different types of homes for sale, for rent or new construction. The qualities of our properties also add value to our real estate agency. We offer modern and exclusive homes. The destination where our homes reside is also one of the main causes to contact us. The Costa Blanca and Costa Cálida are the areas where we offer properties. Different cities to enjoy good weather and multiple surprises, such as its beaches or its gastronomic dishes. 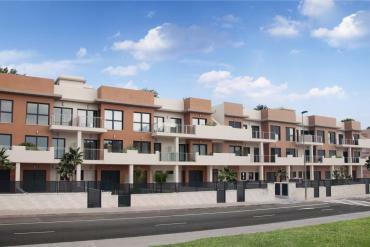 Would you like to contact our real estate in La Zenia? You can come and meet our qualified employees at La Zenia Golf 4B Orihuela Costa (Alicante). You can call us by phone at the following numbers: 0034 965 083 434 | 0034 678 756 648 | 00441144630003. If you want to ask any questions you may have about our services, do not hesitate to call one of these telephone numbers. You can write an email to info@casasespania.com. Our agency will respond to you in the shortest possible time.